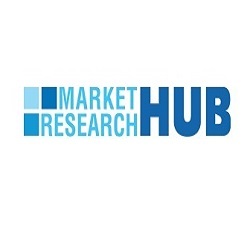 Albany, US, 2019-Feb-14 — /EPR Network/ —This research report titled “Global Die Cutting Machinery” Market Research Report 2019 has been added to the wide online database managed by Market Research Hub (MRH). The study discusses the prime market growth factors along with future projections expected to impact the Die Cutting Machinery Market during the period between 2019 and 2025. The concerned sector is analyzed based on different market factors including drivers, restraints and opportunities in order to enlighten the readers about the actual scenario prevailing in the Die Cutting Machinery Market. The global Die Cutting Machinery market is valued at million US$ in 2018 is expected to reach million US$ by the end of 2025, growing at a CAGR of during 2019-2025. This report focuses on Die Cutting Machinery volume and value at global level, regional level and company level. From a global perspective, this report represents overall Die Cutting Machinery market size by analyzing historical data and future prospect. Regionally, this report focuses on several key regions: North America, Europe, China and Japan.